This OFBiz tutorial is to show you how to manage your different security groups, since just about every business using the OfBiz platform will have a need to set up different security groups within the system. This allows users to be assigned to specific security groups which can only access the areas of the back-end that are pertinent to their jobs. 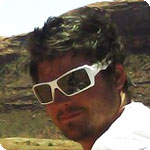 To create or edit security groups, the user must be an administrator within the system. 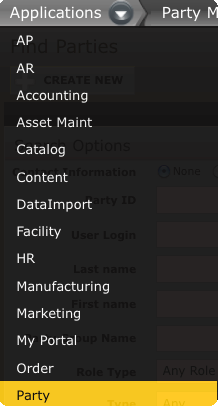 Go to “Party” component from the “Applications” Menu. 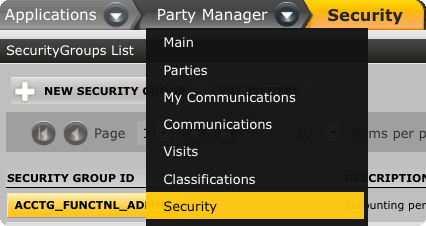 From the “Party Manager” Menu click on “Security” tab. Security Group Lists will be displayed. Click on “New Security Group” button. An easily identifiable name and description are very helpful for later management of security groups. Added “Security Group” details will be displayed on “Security Group Lists” page. Security Permissions should exists in system. Security Group should exist in system. 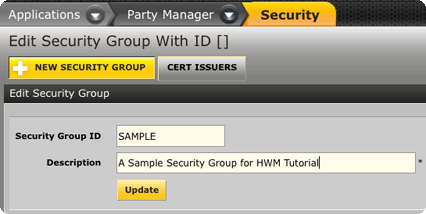 Select a security group by clicking on “Security Group Id” button. Select permission Id from drop down in “Add Permission(Listed) to Security Group” section. Permission can be added manually by filling in “Permission Id” in “Add Permission (manually) to Security Group” section. User Login(Users) should exist in system. Click on “User Logins” tab. Click on “Remove” button to remove user login from Security Group. Click on “Remove” button to update user login for Security Group.